HGE45 Pompeii. Herculaneum Gate East Side. Two Samnite graves. (Not identified by Eschebach, Kockel Nord 45). Excavated 1979. HGE45 Pompeii. 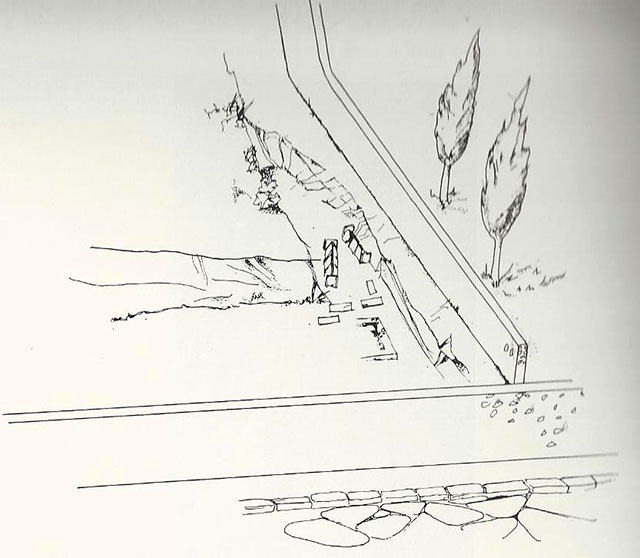 1979 plan by Stefano de Caro. The two wider graves are HGE45 excavated in 1979. 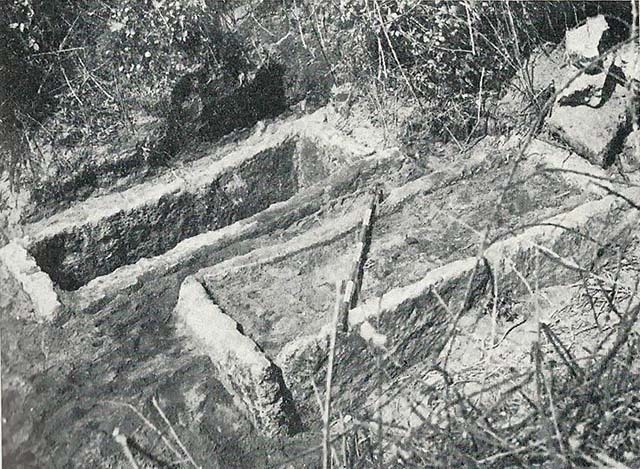 The narrow graves are HGE44 the Tombe a cappuccina, excavated in 1961. These are located to the west of HGE42 and HGE43. See De Caro S., 1979. Cronache Pompeiane V, p. 180, fig. 1. HGE44 Pompeii. 1961 plan of the area of the discovery of the Tombe a cappuccina. See De Caro S., 1979. Cronache Pompeiane V, p. 188, fig. 13. HGE45 Pompeii. 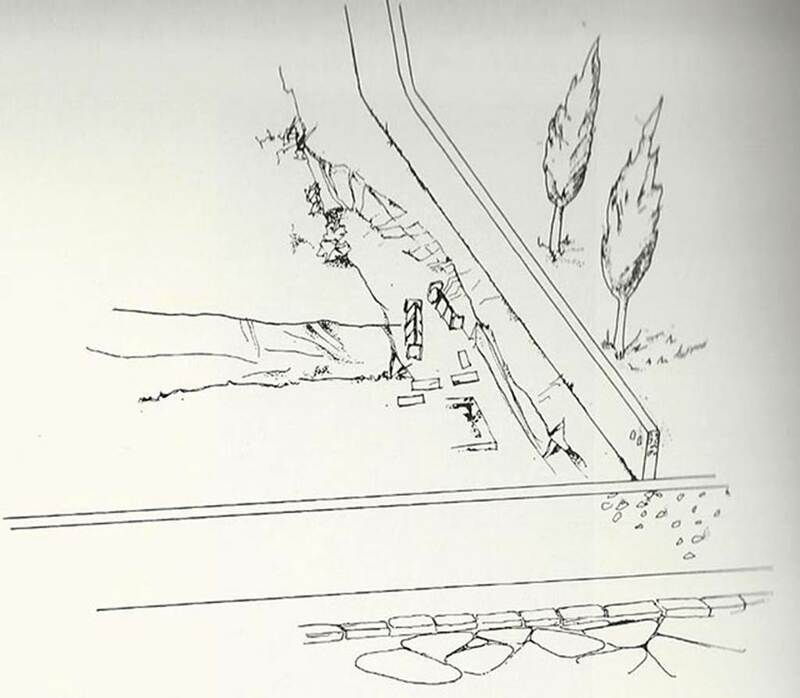 The two graves during excavation in 1979. See De Caro S., 1979. Cronache Pompeiane V, p. 181, fig. 2. HGE45 Pompeii. 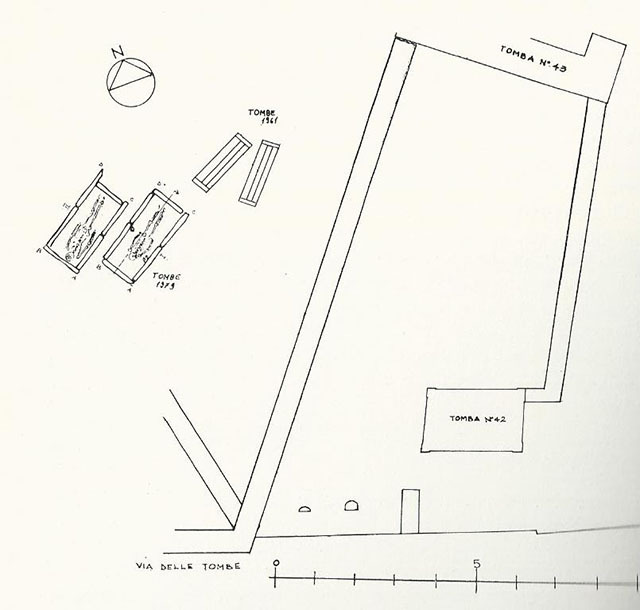 Grave 1 sketch plan of grave, skeleton and contents. This is the more easterly of the two graves. See De Caro S., 1979. Cronache Pompeiane V, p. 182, fig. 3. HGE45 Pompeii. Grave goods from the Samnite grave 1. 3 perfume jars, a stamnos, a small amphora, the remains of a bronze mirror and an iron scissors. SAP inventory numbers 19065, 19066, 19067, 19068, 19069, 19070, 19071. See De Caro S., 1979. Cronache Pompeiane V, p. 181-5, figs. 5-11. HGE45 Pompeii. Grave 2 and skeleton. According to Stefano De Caro, the size of the skeleton and the bone remains suggest this was a male. There were no other grave contents. This is the more westerly of the two graves. See De Caro S., 1979. Cronache Pompeiane V, p. 185, p. 187, fig. 12.